Harveys Bristol Cream features flavours of roasted nuts and raisins, with a subtly spicy finish. Harveys Bristol Cream is usually served well chilled as an aperitif, as an after-dinner drank straight, or on the rocks with a wedge of lime or slice of orange. 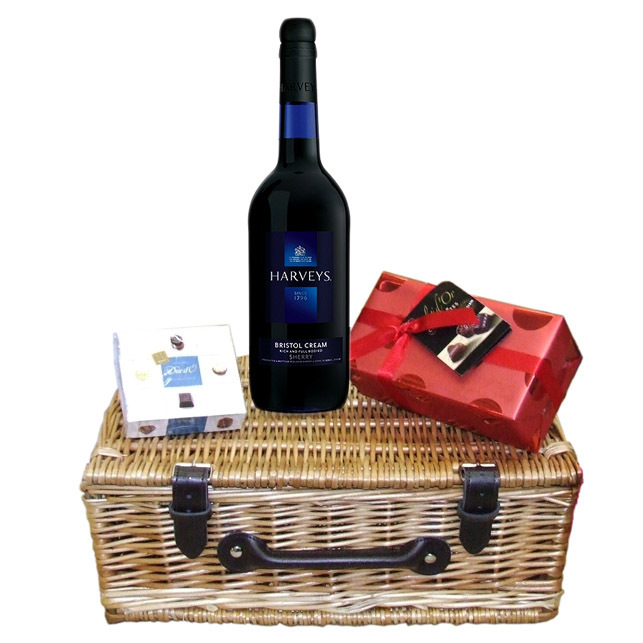 Hampaer comes with Mini Duc d'O Belgin Chocolates (50g) and Belgid'Or Fine Belgin Choclates (190g) all packed in a wicker hamper with leather straps, lined with wood wool.